Encased in lightweight tone wood, the VV-2 sensor installs easily in the eye of the violin or viola bridge with minimal modification. 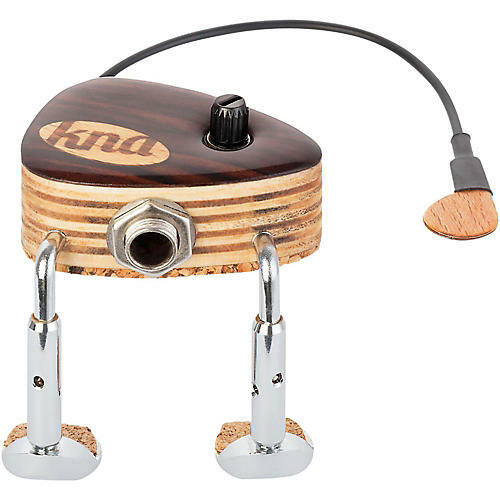 The input jack housing is lined with soft, protective cork, as are the feet of the adjustable clamp legs. Detachable and prtable, the Kremona VV-2 conveniently accepts a 1/4" cable jack. An onboard potentiometer allows the performer to adjust output volume from the stage.